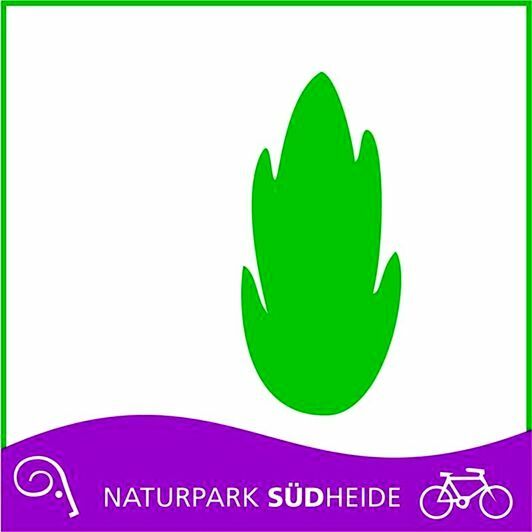 The "Grand Heath Tour" combines the most scenic heath areas of Suedheide nature park. Numerous sights line the route and are well worth exploring. 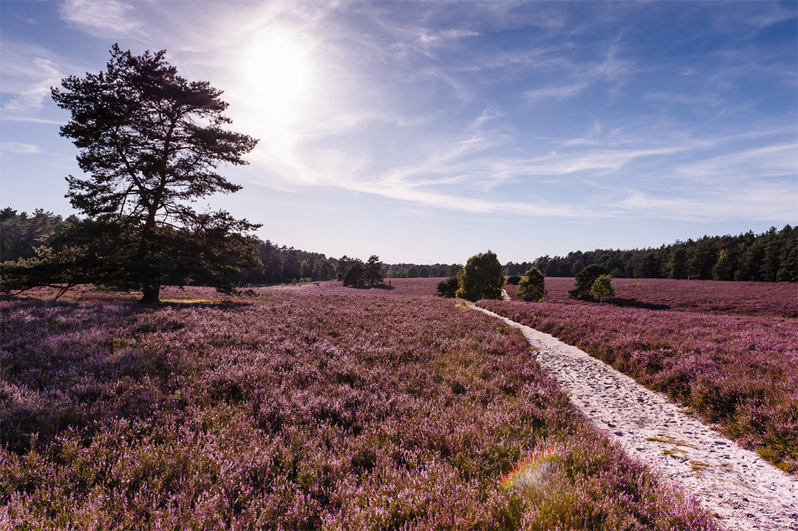 This cycle tour through Lueneburg Heath is especially beautiful during the month of August when the heather is in full bloom. 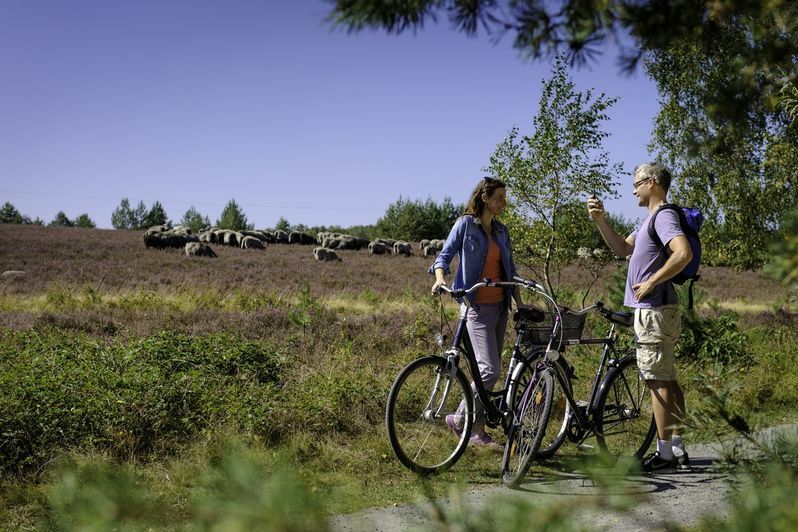 This magnificent cycle tour curves from Misselhorn Heath over the Great Heath, Schmarbeck Heath and the juniper forest through Fassberg and past Hausselberg. 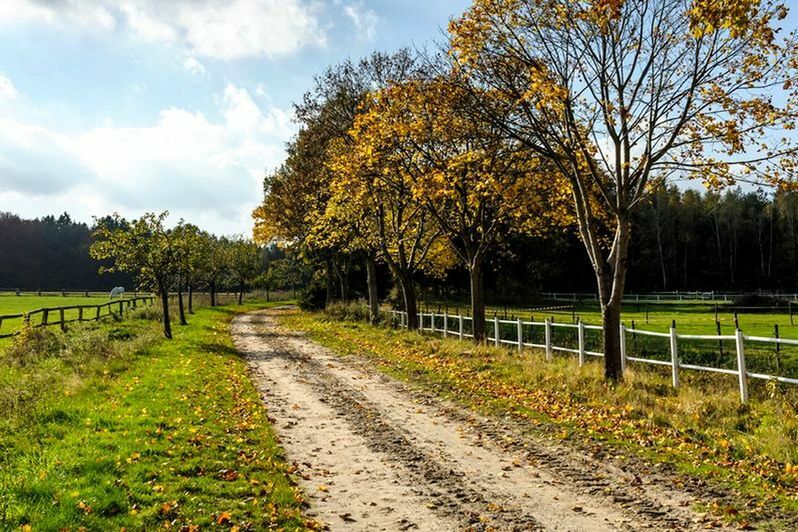 This unique countryside is characterised by rolling hills, small valleys and magnificent heath areas. 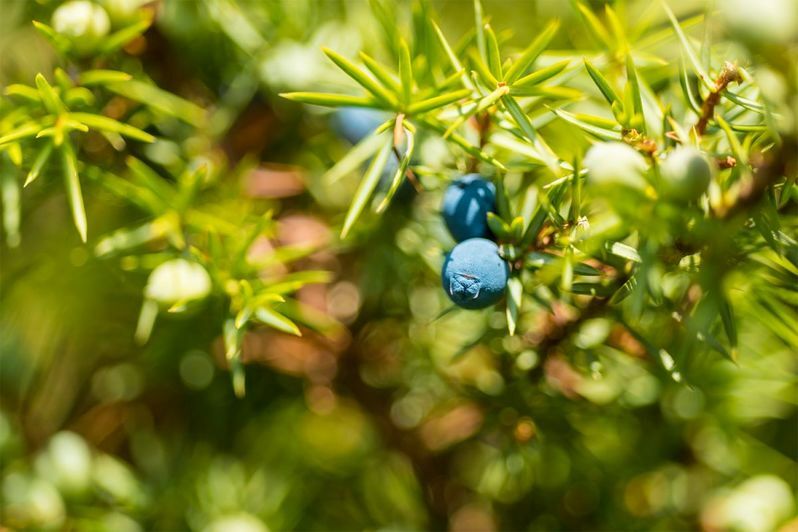 Information boards along the way tell you how the heaths and woodlands came into being over the course of many centuries. Feel and enjoy the tranquillity of nature. 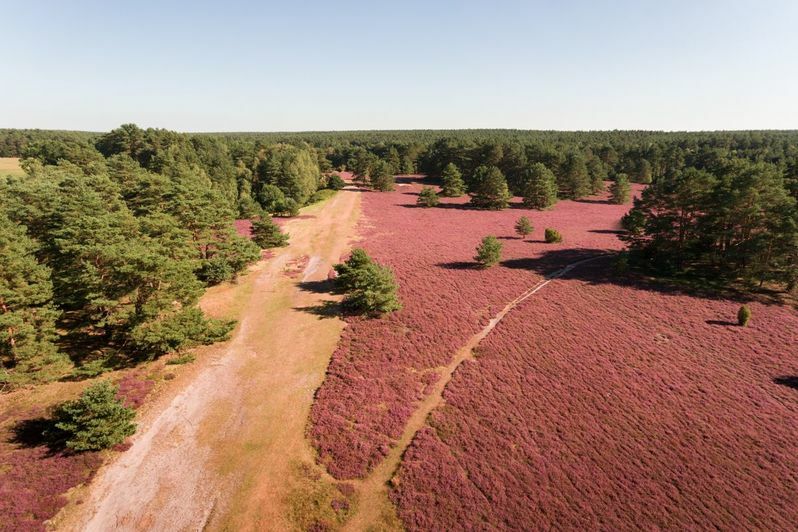 Growing crops in the nutrient-poor soil of Lueneburg Heath led to the development of heath farming, a form of agriculture. 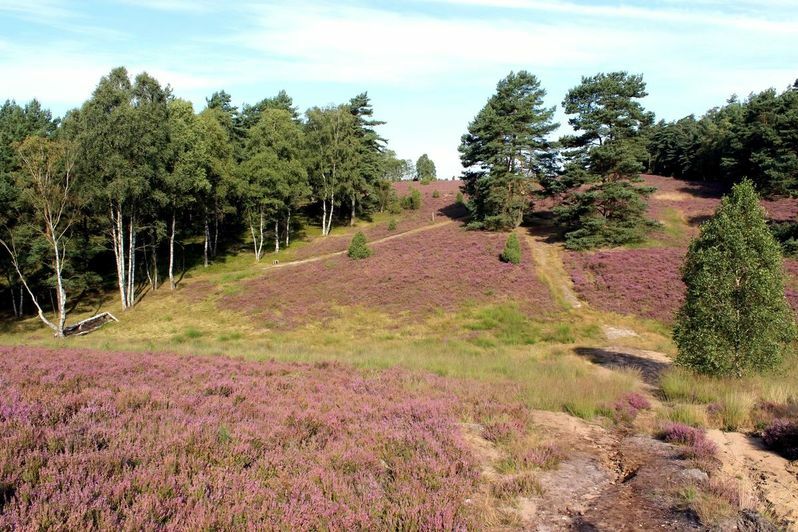 Heath areas were shared as a source of food for moorland sheep. Some areas were reserved for sod plugging, the practice of tearing up the top layer of heath and humus for use as litter in the sheep pens. When combined with animal droppings it turned into a valuable fertiliser that improved the condition of nutrient-poor fields and enabled the cultivation of buckwheat and rye. Sod plugging was physically strenuous work that was performed with a "twicke”. The densely rooted topsoil was stripped to a depth of 4 to 6 cm. 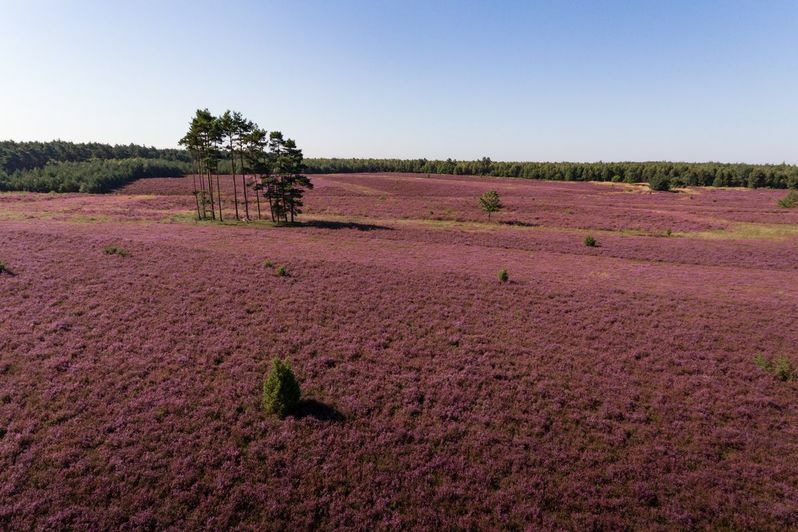 At the middle of the 19th century, Lueneburg Heath consisted of huge swathes of heath interspersed with patches of sand. The woodlands had virtually disappeared due to tree-felling and pasturing. Mineral fertiliser was introduced in 1870, heralding the end of heath farming as it was no longer profitable. Earnings from sheep-herding declined heavily, as did the sale of sheep’s wool due to the growing dominance of cotton. 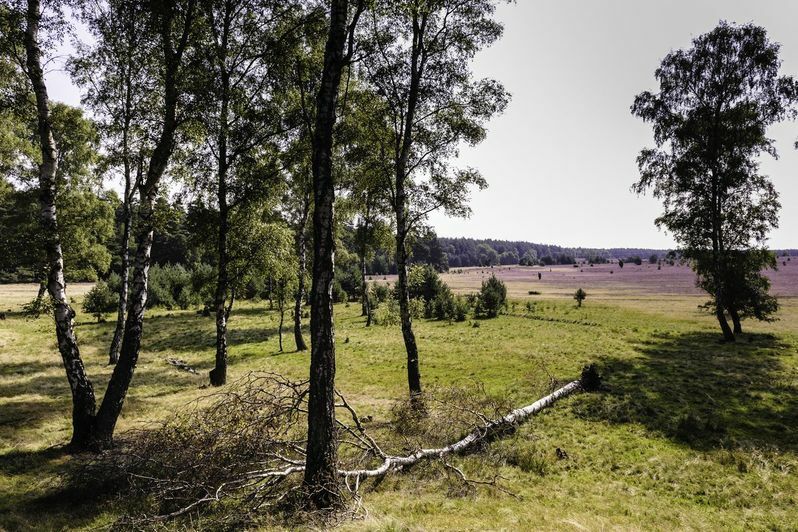 Heath areas were reforested mainly with spruce trees, turning Lueneburg Heath into Lueneburg Forest. But a rethinking process began at the start of the 20th century. 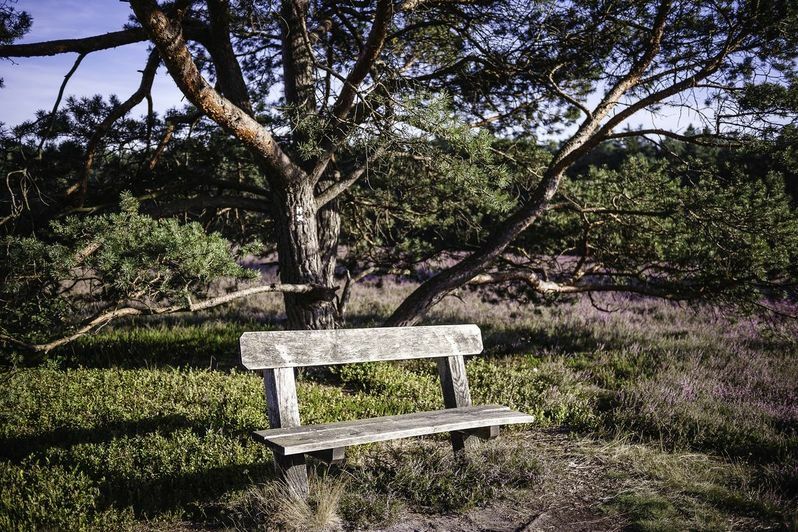 Many people began discovering the beauty of nature and especially of the heath countryside. 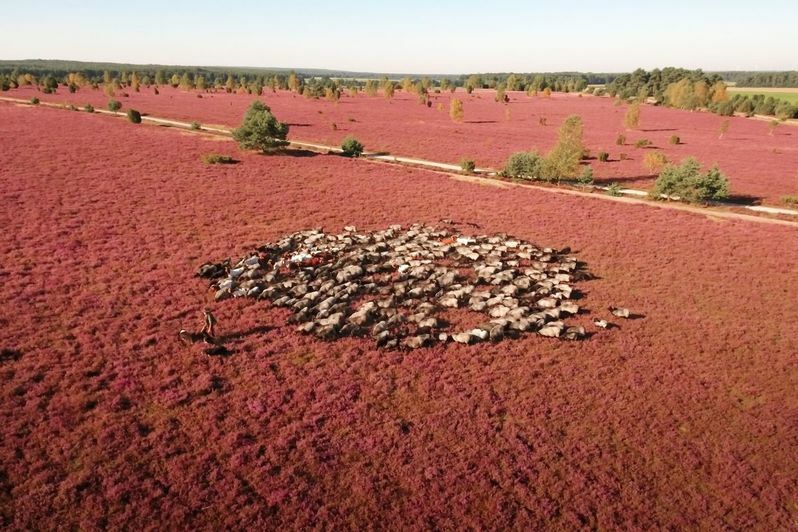 The remnants of this unique flora and fauna and the remains of the former cultural landscape that had survived since the times of heath farming were conserved and returned to their former state. 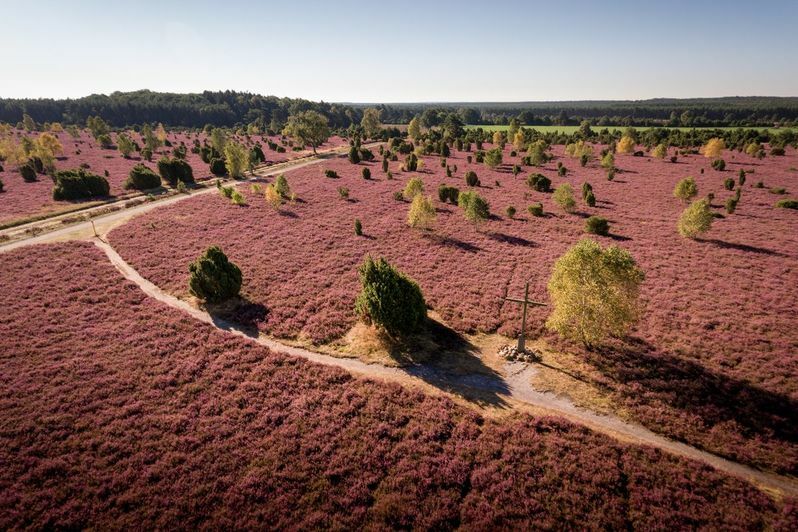 Successful examples include the heath villages of Schmarbeck, Oberohe, Niederohe and Gerdehaus and the beautiful expanses of heath at Schillohsberg and Misselhorn Heath. 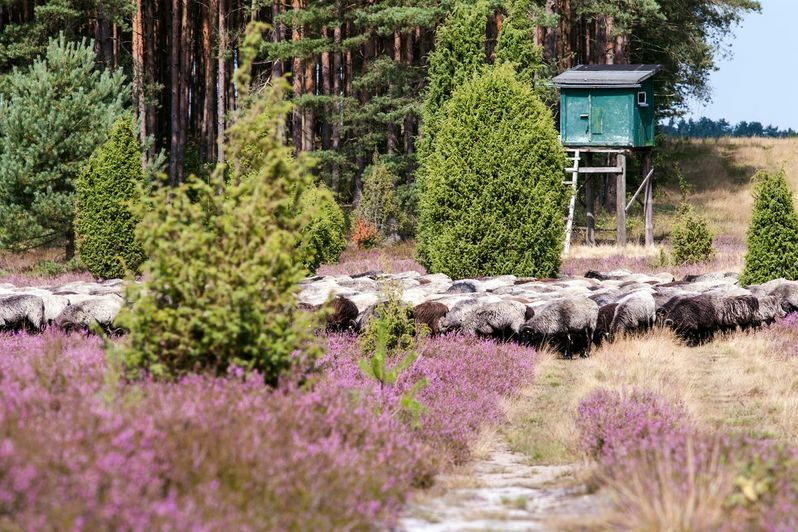 Today, it is once again our four-legged conservationists - the moorland sheep - who maintain the heath’s healthy condition. You can reach Misselhorn Heath car park via the K 17 travelling from Hermannsburg towards Unterluess. The car park is on the right about 1.5 km outside of Hermannsburg. Welcome to the Grand Heath Tour! 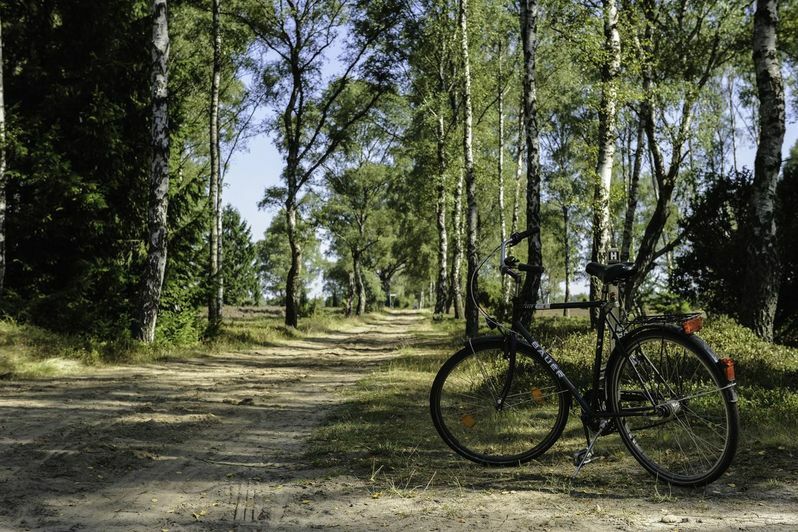 This bicycle tour takes you to the most scenic heath areas in Suedheide Nature Park. 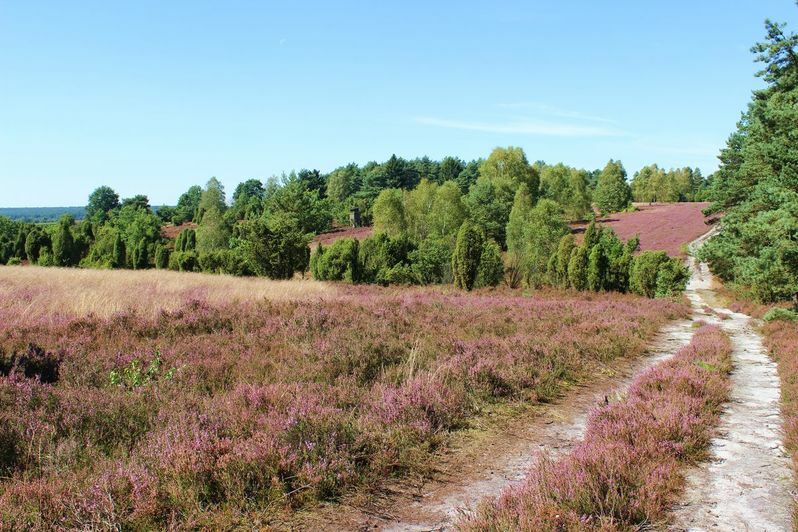 The tour begins at the Misselhorn Heath car park, which is also the starting point for the Heath Panorama Trail. 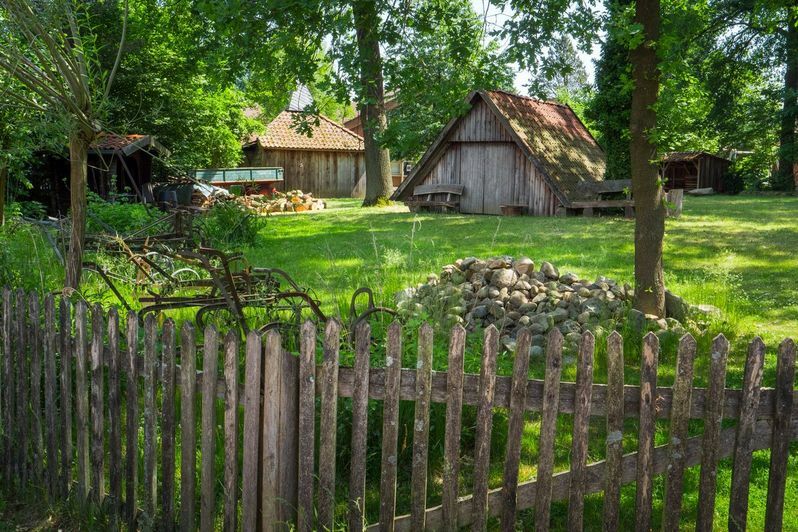 We recommend a visit to the Ludwig-Harms-Haus and the regional museum in Hermannsburg as a part of the Grand Heath Tour. 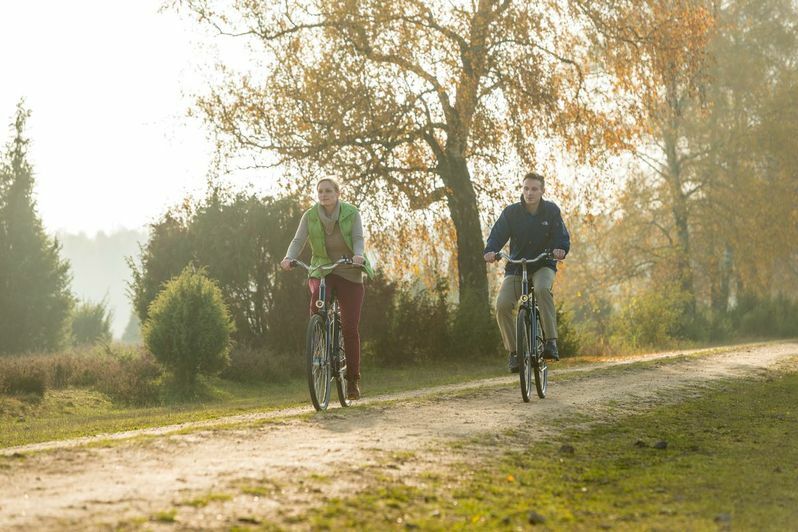 You can also start the tour from there and cycle around 2.5 km towards Unterluess to the place of departure. 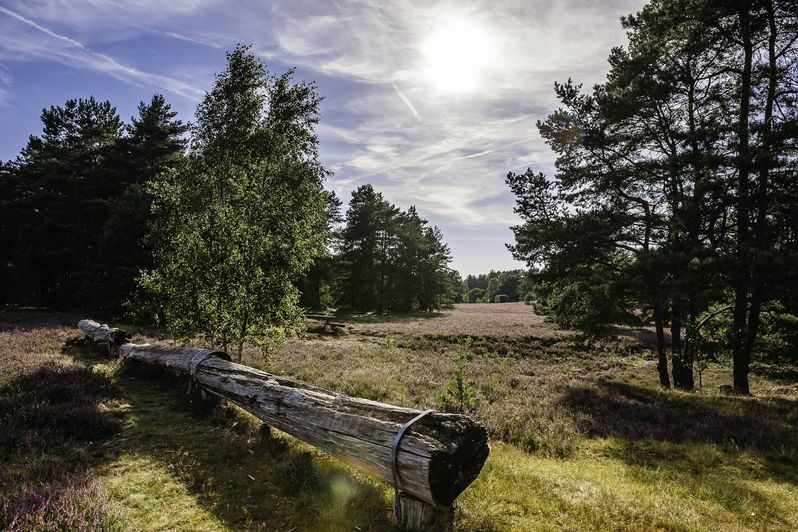 The Heath Panorama Trail and an information board about the heath as an ancient cultural landscape at Misselhorn Heath car park set the mood for the bicycle tour. 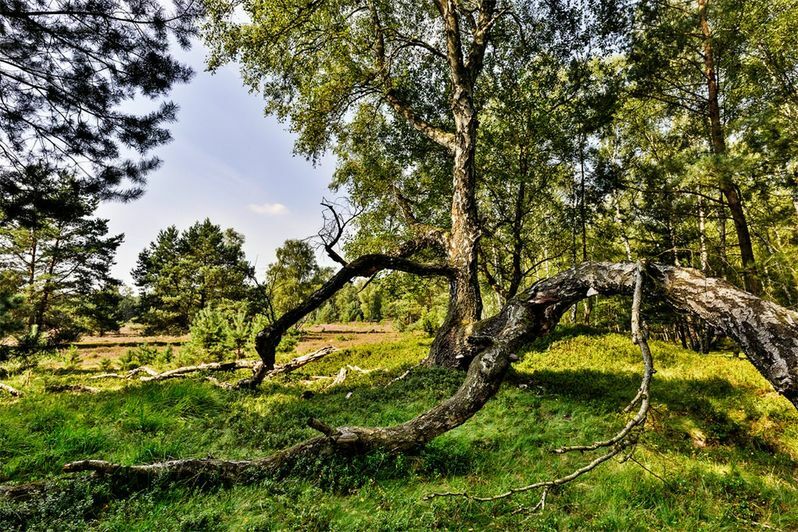 Learn how the heath and woodland countryside came into being over the centuries and enjoy the tranquillity of nature. The route takes you from Misselhorn Heath through the heath areas on Eicksberg with views of Tiefental valley and then on through the forest to Lutterloh. The route continues east of Lutterloh to Schillohsberg Heath. The car park there also has an information board about the heath. 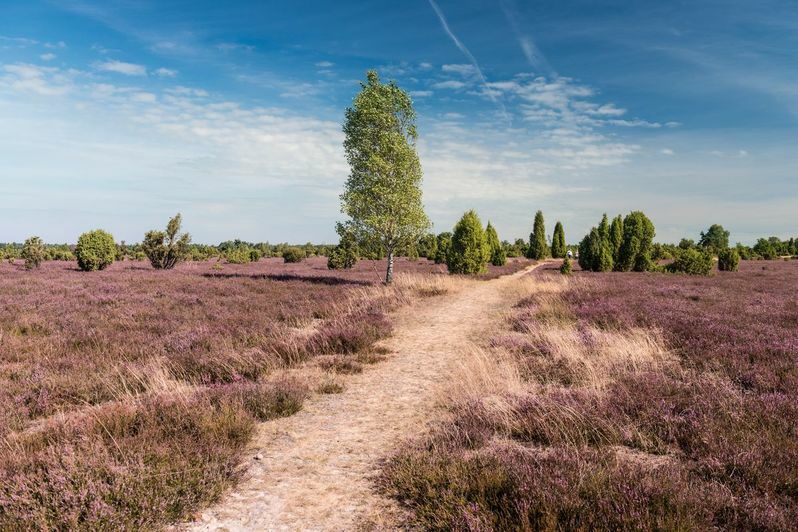 On the opposite side is where the Heath Adventure Trail begins, a circular cycle path through the heath’s picturesque cultural landscape. 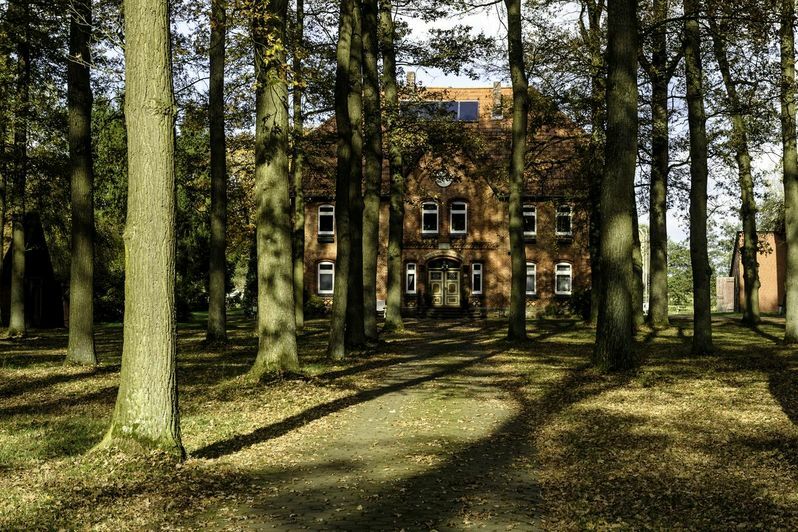 You can follow the trail of mathematician Carl Friedrich Gauss near the village of Neu-Lutterloh. A memorial stone commemorates a former surveying point of Gauss’ ordnance survey method. A few hundred metres further along the cycle path that runs parallel to the road to Unterluess, take a left turn just before the forest onto the path towards Grand Heath near Oberohe. 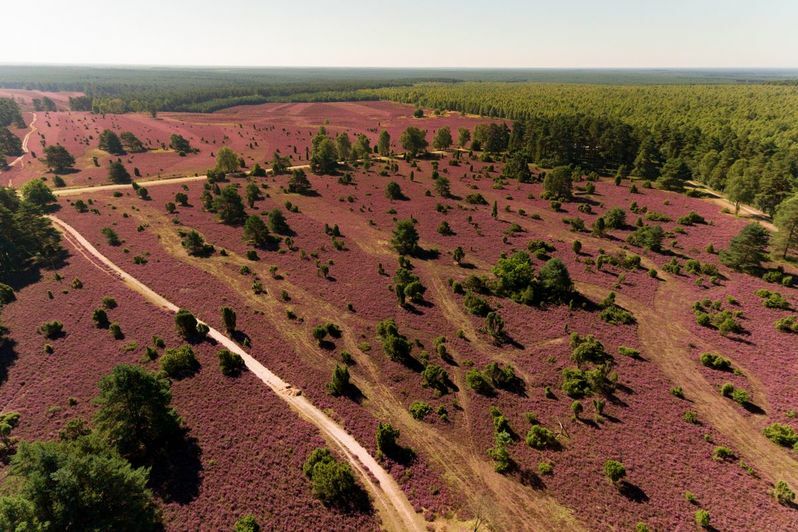 Diatomite, an important natural resource from Lueneburg Heath, was once mined here at the perimeter of the heath. The Albert König Museum in Unterluess has an interesting exhibition on the subject. 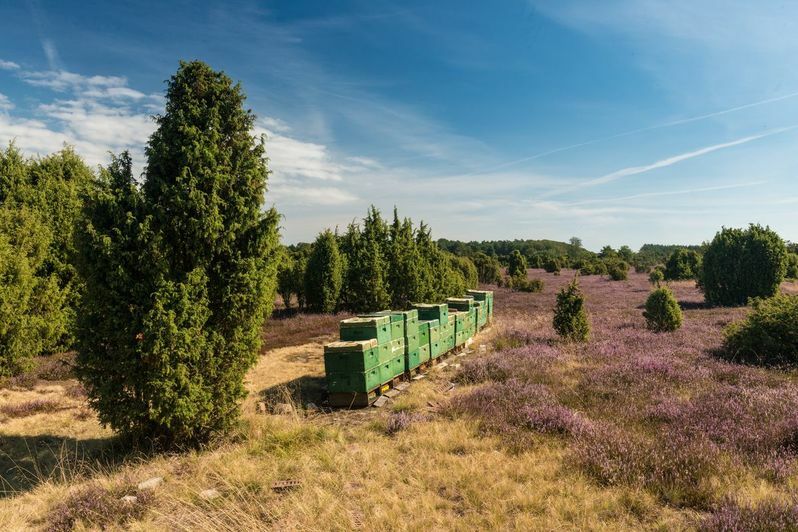 The bicycle tour continues to Juniper forest in Dübelsheide (Devil’s Heath), which is well-known as the largest and most beautiful juniper forest in Lower Saxony. The journey continues through Schmarbeck with its historic farm buildings to the airlift memorial in Fassberg. 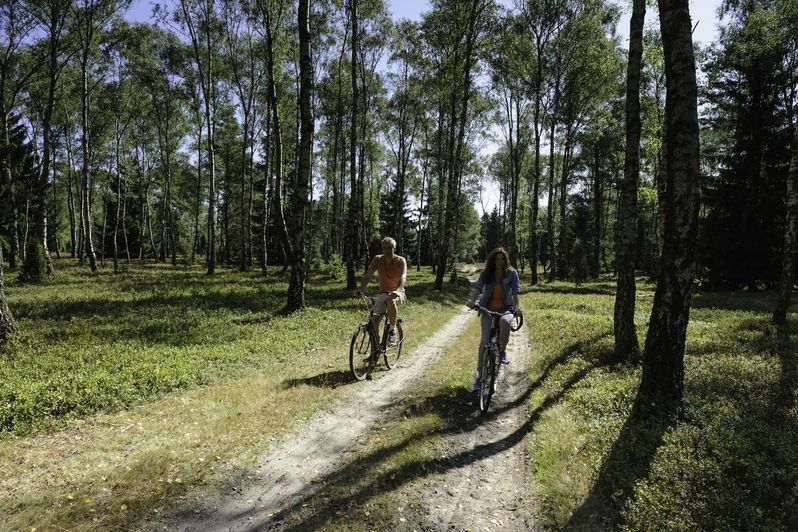 The tour continues through Hankenbostel to the small heath near Gerdehaus, then through the forest to Weesen and back to the place of departure at Misselhorn Heath or to Hermannsburg. 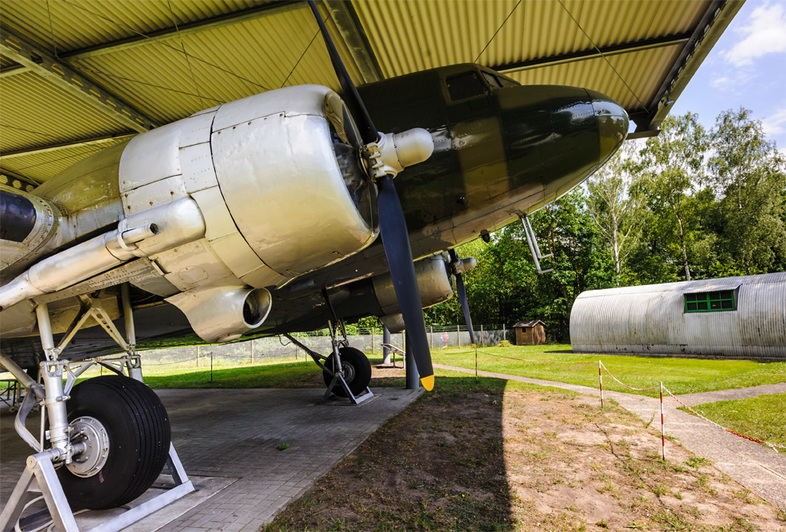 Click here for detailed information about the tour.